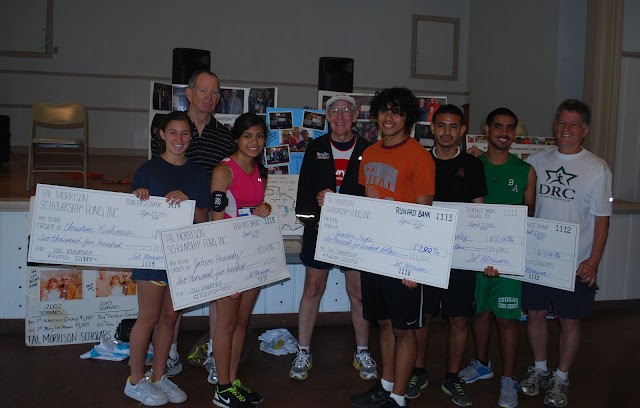 Continuing yesterdays post, here are the winners of the Tal Morrison Classic 5K race. Chris McMordie came in 1st overall in the 5K race. Tiffany Hauerwas was 1st overall for the women in the 5K. Below are the 2012 DRC Tal Morrison scholarship award winners. Over 270 pictures are posted on the Terrell Daily Photo Facebook page. 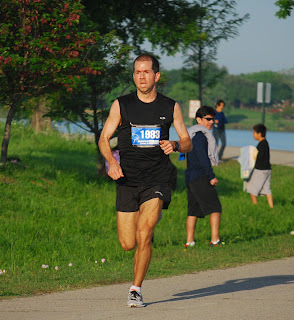 When I run, I'm normally bringing up the rear. It was nice to see the winners cross the finish line. If you are looking for a 5K run on April 21st the Volunteer Services Council of Terrell State Hospital will host the Fountain 5K at Ben Gill Park in Terrell as part of the Terrell Heritage Jubilee. Register for the race here. All proceeds from the 5K benefit the Volunteer Services Council of Terrell State Hospital.